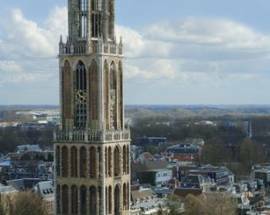 If you'd like to behold the most beautiful views of Utrecht from atop the Dom Tower, you'll first have to suffer some serious physical exertion. 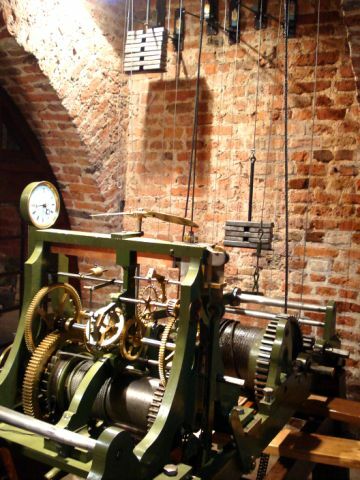 No less than 465 steps – and we counted each one of them personally – will take you from the entrance door to the platform. 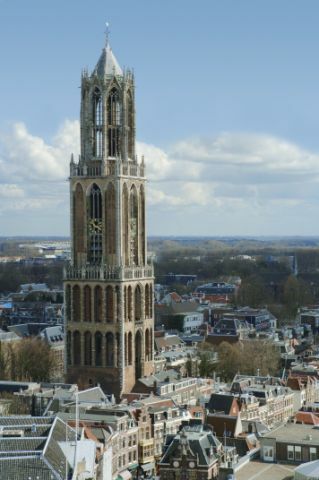 You're only allowed to climb the Dom Tower under the supervision of a guide, who will pause at various levels of the tower for a brief explanation of the tower’s history. 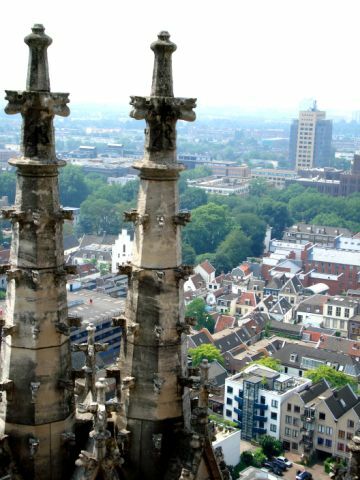 At a little over 112m (368 ft) in height, the Dom Tower is the tallest church tower in the Netherlands. The highest observation platform is at 95m (312 ft). 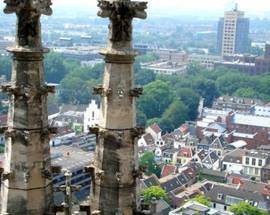 The guided tour of the Dom Tower commences inside the Tourist Information Office (VVV). 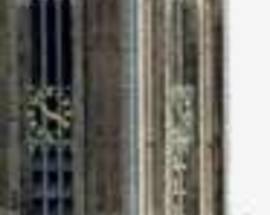 Entrance tickets to the tower are sold inside the Tourist Information Office. 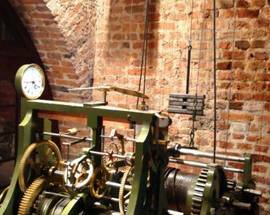 Guided tours are conducted in both Dutch and English (if necessary). Ask for extra information leaflets at the sales desk. Leaflets are available in German, English, French, Italian, Dutch, Russian, Spanish, Hungarian and Japanese. Open 11:00, 12:00, 13:00. 14:00, 15:00, 16:00, Mon 12:00, 13:00. 14:00, 15:00, 16:00, Sun 12:00, 14:00, 15:00, 16:00. Admission: adults €9, children under 13 years: €5.